This hasn’t left the smart phone for a good couple weeks, that’s how much I’m digging it! 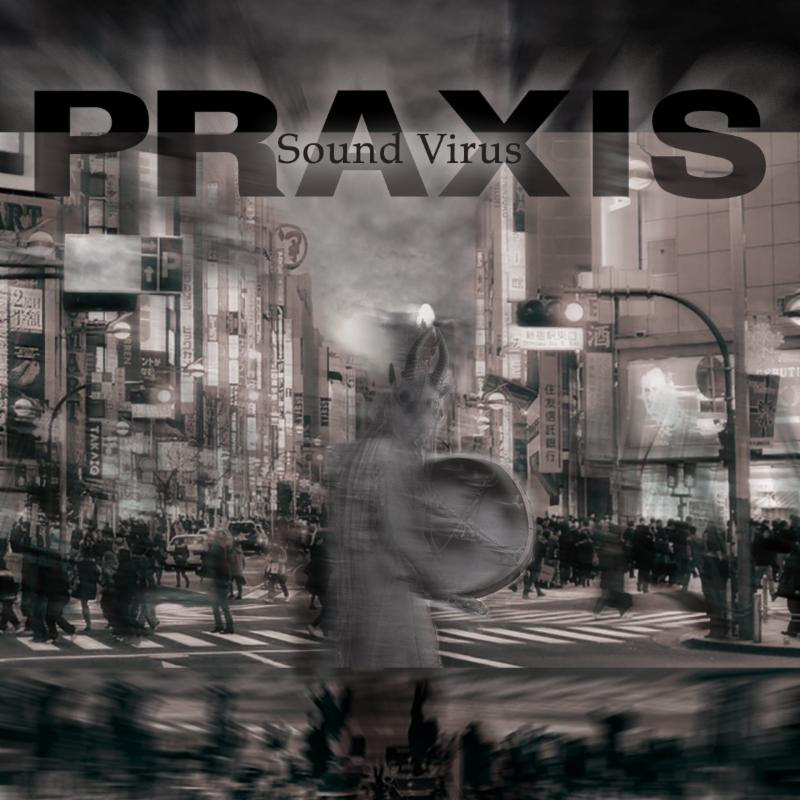 Having not heard Praxis in a while, upon hearing this one it all came back, and I don’t think much has changed over the years. Lots of shredding by Buckethead, but actually lots of very melodic passages as well. I think the very fact that it isn’t a 100% shred-fest was the record’s greatest appeal to me. Oh it’s there, believe me, it’s there big time. But there is some really beautiful / tuneful guitar playing popping up all over the place too. Of course there is the patented Laswell woofer ripping dub-ified bass lines but we are also getting a whole bunch of little audio easter eggs (that I guess can be attributed to BL) that made me smile…lots! What I’m talking about are some of the random studio fuckery bits that are dumped into this recording. Things you would probably miss if you weren’t listening carefully. I’m still hearing new things after several listenings and I think this aspect is very cool. Zorn makes a few cameos squealing away on his sax and you also get Eye in there blubbering and blathering in some indecipherable tongue, but thats cool…it kind of adds a Naked City vibe a little. Mick Harris…I have no idea where he is but the drumming throughout is solid of course. In the end…good stuff. If you are even a casual fan of any of these guys, this release comes highly rec’ed! Their 5th CD and their first in over 4 years, Zorn’s most delightful and popular instrumental unit returns with nine compositions inspired by the imaginary worlds of fantasy literature. Featuring some of Zorn’s catchiest hooks and plenty of fiery solos from Ribot, Saft and Wollesen, “Pellucidar blends soul, surf, jazz, minimalism, rumba, tango, samba, exotica and more in classic Dreamers style. Accompanied by a 36-page booklet filled with colorful art by Tzadik’s exclusive designer Chippy, Pellucidar is a long awaited addition to the sparkling Dreamers legacy! Exotic music for the 21st century that is an absolute delight from first note to last. Together since 2010, Les Rhinocéros has brought their manic and zany mixture of heavy metal riffs, world music, noise, math rock, klezmer, reggae, minimalism, soundtracks and sick improvisation to appreciative audiences all over the world. Their long awaited third release ups the ante once again with a wide variety of manic compositions performed tighter than ever by this virtuosic trio. Featuring guests Gal Klein, Joe Herrera, Matt Rippetoe, Kamyar Arsani, Reese Higgins and David Coltun this is a passionate young band breaking new ground in instrumental music! The program, “Dimensions of Time and Silence,” opened with Morton Feldman’s solemn, spare “Rothko Chapel” (1971) for soprano, viola, percussion, celesta and chorus, composed for the building of the same name in Houston. Its gentle harmonies and quiet interjections on percussion (Christopher Graham) and celesta (Vasudevan Panicker) are gently interwoven with lonely viola melodies, elegantly rendered here by Emily Brookwater.